Sean Kingston Augmented Reality - Karaoke with Virtual Sean! The latest innovation in Augmented Reality is AR karaoke! 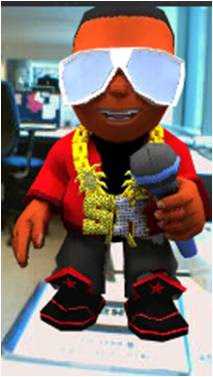 Augmented Reality Sean Kingston - Virtual Sean on my desk! 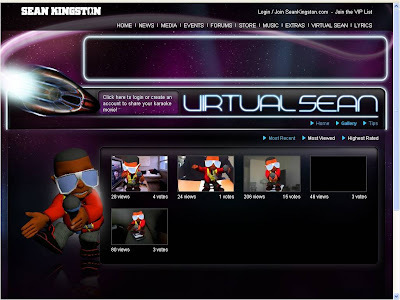 There is then the opportunity to 'Record' your Augmented Reality Sean Kingston video, upload it to the Virtual Sean gallery and share it with your friends on Facebook, MySpace or Twitter. Virtual Sean users can also download their video recording to their own computer. Augmented Reality is developing quickly and I think Virtual Sean is a great example of how interactive Augmented Reality can be. Virtual Sean is an interesting way of creating deeper engagement (and social currency) for fans and I'm sure others will follow. Given your passion for all things AR, I thought you'd like this one!